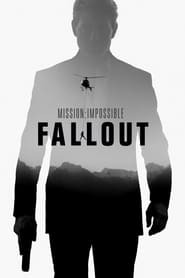 Plot: The sixth installment in the "Mission: Impossible". When an IMF mission ends badly, the world is faced with dire consequences. As Ethan Hunt takes it upon himself to fulfil his original briefing, the CIA begin to question his loyalty and his motives. The IMF team find themselves in a race against time, hunted by assassins while trying to prevent a global catastrophe. Saw this yesterday and enjoyed it. Personally, I thought that it was 20 to 30 minutes too long but good all the same. It left me a little disappointed. I thought it was about 40 minutes too long and found it difficult to still see old Tom as an action hero. Chase scenes and effects great as usual, but it was all a bit "haven't we done all this before?" for me. found it difficult to still see old Tom as an action hero. Not seent his yet but I think he looks great for his age and the stunts he does in the film are unreal! I thought they walked that fine line brilliantly in the movie. Cruise looks unbelievable for 56, but at the same time he looks human too: he looks like a really well kept man in his fifties, without looking fake and weird a la Sylvester Stallone or someone of that ilk. He looked just a little bit older and wearer in this movie, which perfectly tied in with what direction they went with the Ethan Hunt character, but he's completely believable performing all those stunts. He might be a total weirdo in his personal life - who knows really - but he really is a movie star in a different class. Also, I thought it was a great action movie but a little too predictable. Watched it last night. Very enjoyable, you know what you're getting with this franchise....good performances, fun and non-stop action. Just watched it last night. Gets better and better. This is Tom's role, I can watch it and actually believe that he is Ethan Hunt. The effort he puts into his stunts really shows on screen. I loved that they kept in the piece of him running off with a broken ankle.